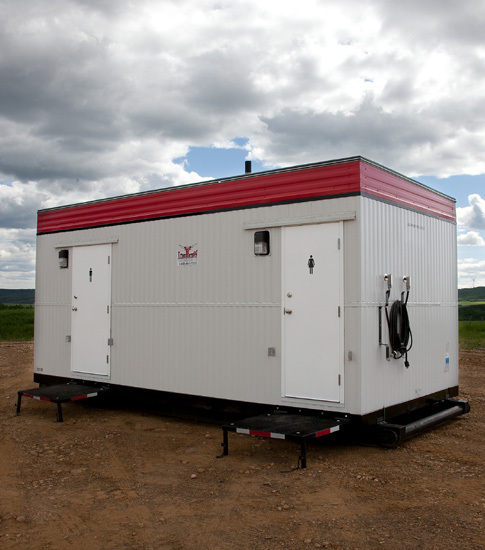 Our towable office trailers offer all the amenities that you need to work efficiently in the field, in a portable package that is easy to deliver and set up. Comfortable work stations, lots of outlets, and executive chairs give you the tools you need for a productive day. Every towable office comes with satellite TV, a fridge and microwave, and air conditioning to keep you comfortable on a long day. 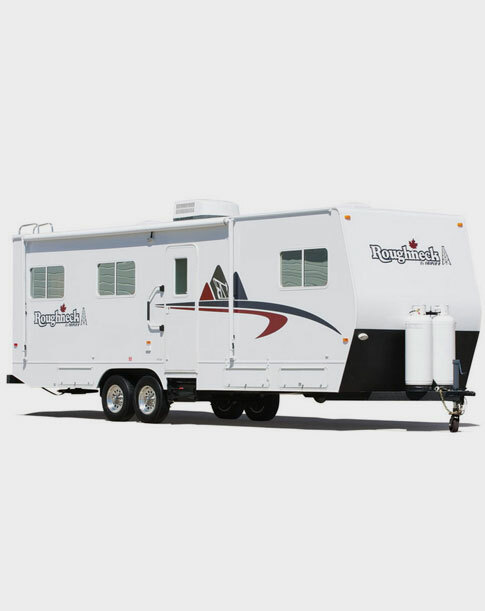 The Roughneck towable wellsite trailer offers all the office and living accommodations needed for one person in a smaller, more portable format. 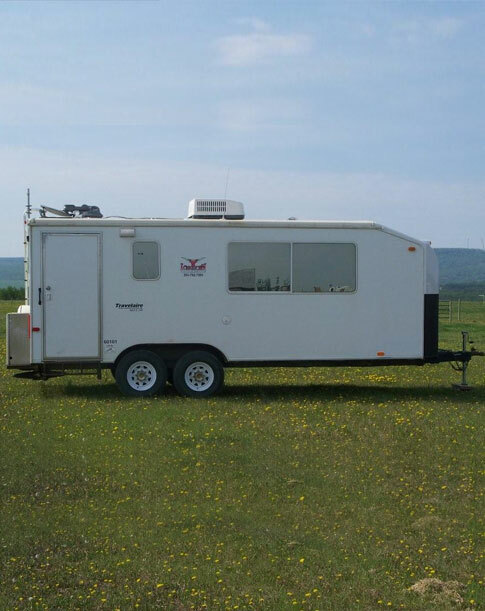 These trailers offer a full size kitchen, bathroom, and bedroom, along with satellite TV and air conditioning. There is also a workstation in the office area and a table in the kitchen. We offer WCB/ OH&S compliant washrooms featuring hot and cold running water, sinks for hand washing, and all the comforts of a public washroom. These units are available in a skidded or wheeled format and can be configured with different sizes of holding tanks depending on the size and length of your job.